Original story posted on the Charlotte Agenda by Andrew Dunn. People drive way too fast down Parkwood Avenue and The Plaza. This is a main thoroughfare to and through the Belmont, Optmist Park, Villa Heights and Plaza Midwood communities, but it’s really a neighborhood street. 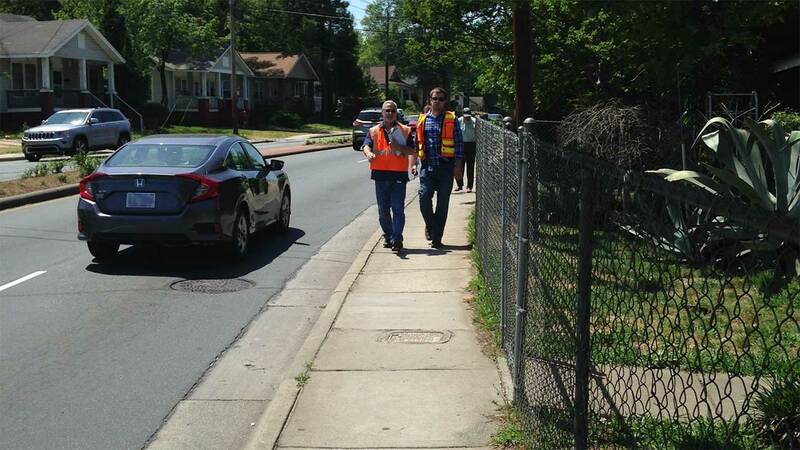 At least 18 wrecks have been reported between cars and pedestrians and bicyclists in the past few years. At least two have been fatal. The city has been working on a solution for nearly two years. 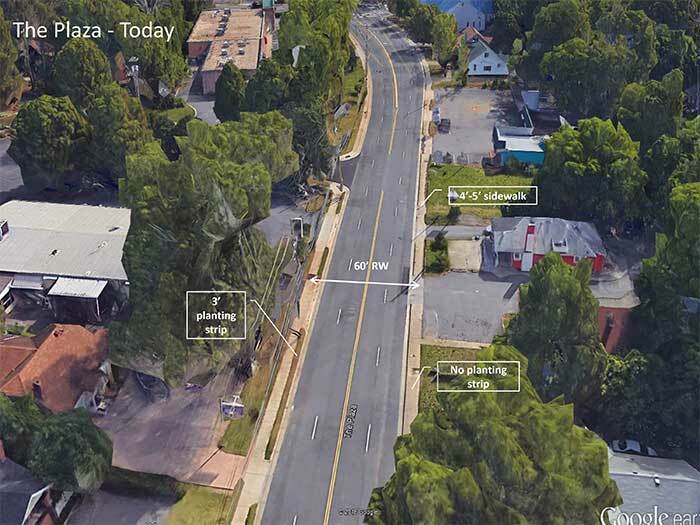 The answer most people are rallying behind is a “road diet.” This would essentially take a four-lane road and make it a two-lane road, with the outside lanes being carved into protected bike paths and wider sidewalks. These “diets” also force cars to drive slower. Would end up looking more like this. And Parkwood would transform like this. The funding still isn’t lined up. 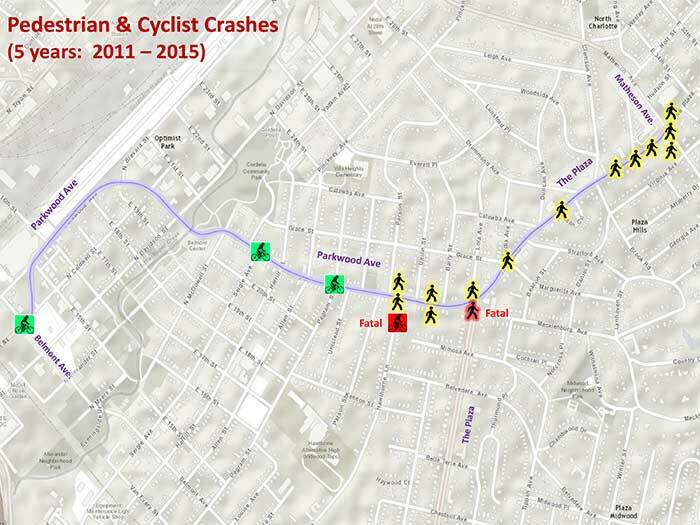 All this has been studied by the Charlotte Department of Transportation and presented to city council committees. There’s a petition urging its adoption. But it’s not approved yet. 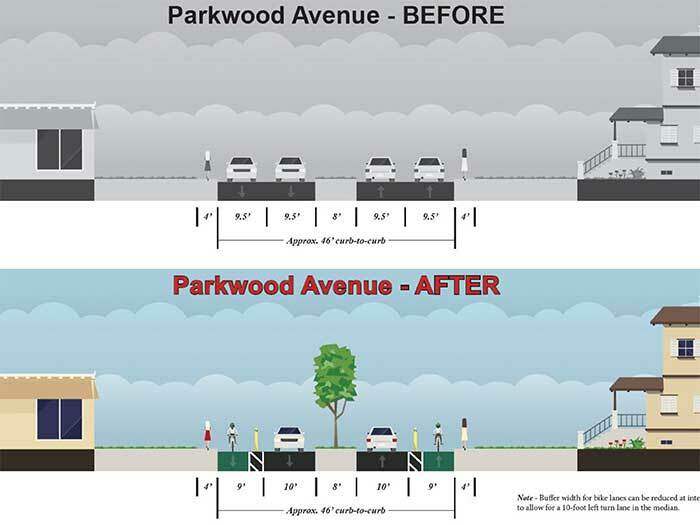 The city estimates it would cost about $2.5 million to implement the road diet on Parkwood. 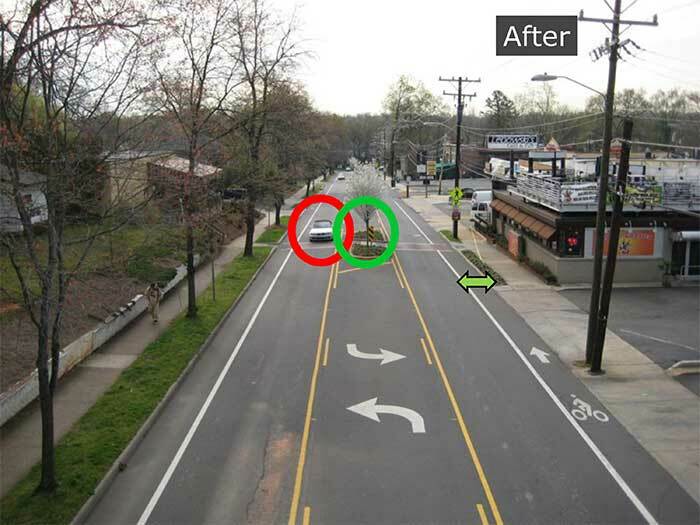 City staff are recommending against doing the road diet on The Plaza, but instead making intersection crossings better. At this point, the city is recommending getting the funding in some future bond package.